In a time where global newsrooms are becoming smaller due to enhanced technological advancement, robotics journalism has emerged as a threat to the fourth estate. Artificial Intelligence has introduced a new paradigm in present-day journalism and newsrooms across the globe are facing fears of staff cuts. Automated journalism has already made its way into newsrooms with automated news writing and distribution, without human supervision already a reality. ‘Jia Jia ‘was the first humanoid robot journalist created by developers from the University of Science and Technology in China’s Anhui province in April. She hit headlines when she reported for the country’s news agency Xinhua and conducted a live interview with an editor of a popular tech magazine. More recently, an upgraded version of this robotic journalist Zhang Zhou was witnessed in Chinese News Channel. Their official news network claimed it to be the world’s first artificial intelligence news anchor. In robotic journalism, also called automated journalism or algorithmic journalism, news articles are generated by computer programs and AI software, rather than human reporters. Voice, tone, and style can also be customised depending on the desired output. 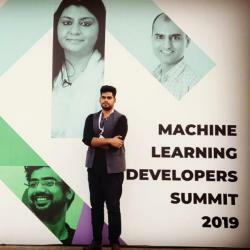 AI companies such as Automated Insights, Narrative Science or Yseop are already developing and delivering such algorithms, chatbots, and automated reporting systems to newsrooms around the globe. 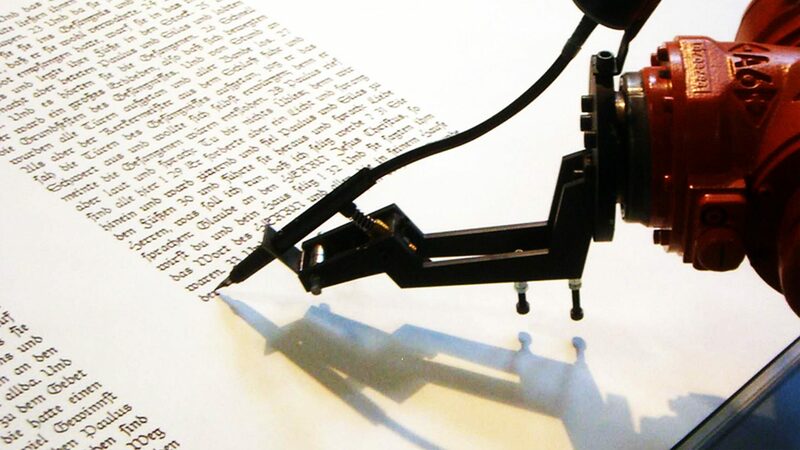 Hold your breath: these robots can produce a story in just a matter of a second. The AP, for example, began publishing articles for earnings reports last year, using a software from Automated Insights. The Associated Press published a short financial news story: “Apple tops Street IQ forecasts”. The piece could be easily written by a human – but if someone reads it until the end, they would see that it was generated by Automated Insights or what we call a robotic journalist. The Norwegian News Agency (NTB) started work on a project to generate automated football news coverage, which was launched in 2016. Together with experts in artificial intelligence, a group of journalists learned new skills whilst the robot was being “trained”, a decision crucial to the development of the algorithm. Thomson Reuters is also already using machine learning algorithms to write their stories. Google, on its side, has provided the British news agency Press Association with a $1 million grant to develop a computer program able to gather and write nearly 30,000 stories a month — a volume impossible to match manually. Will AI Take Over Journalism Jobs Completely? There are several benefits using a machine. For example, robots can act as an assistant, such as for writing up press releases, data-driven stories. They are even able to conduct face-to-face interviews and but cannot ask follow-up questions, craft a colourful feature story and in-depth analysis, or shoot and edit a package for TV broadcast. By automating routine stories and tasks, journalists can free up time for more challenging jobs such as covering events and investigative reporting. It also paves the way for greater efficiency and cost-cutting measures for news organisations struggling to survive. Robot journalism is cheaper because large quantities of content can be produced at quicker speeds. Apart from fears about even more job cuts in the media industry, there are obvious concerns about the credibility and quality of automated journalism and the use of algorithms. AI cannot replace human skills such as creativity, humour, or critical thinking in the newsroom, which are all crucial aspects for the media professional. Although, to date, there are no reports on robotic journalism affecting the job prospects in the Asian market, as per Laurence Dierickx, journalist and a research, it has started showing its effects in European countries. Dierickx released a few figures on how many are expected to lose their jobs as a result of AI till now. Also Read What Does Alibaba’s Recent $15 billion Investment in Cloud Computing Mean? Other prospective studies also say that more journalists are likely to be affected (International Data Corporation 2016 and Ericsson 2017) but at the same time, these studies underline that jobs involving human interface will be preserved. According to Dierickx, there are a lot of contradictions, and no one can predict the future. But with automated journalism gaining ground in newsrooms, 2019 will prove to be a critical year for Journalism and Media.